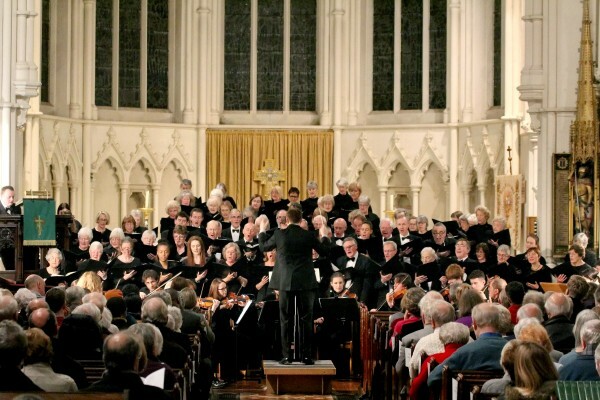 The re-opening of the magnificent baroque church of St Paul in Deptford, after four years of extensive restoration, enabled St Paul’s Sinfonia to launch its inaugural concert season in December 2004, bringing live high-quality classical music to the cultural scene of Lewisham and beyond. After our first seven seasons, we spread our wings and moved slightly further afield, to Greenwich, Lewisham, Blackheath and Catford. Conducted by Andrew Morley, St Paul’s Sinfonia consists of experienced and dynamic orchestral players from across London. We perform monthly concerts at venues across south London. The Sinfonia draws its repertoire from a wide range of musical styles, from Baroque and Classical to Romantic and Modern, and aims to combine classics of the chamber orchestra repertoire with more unusual and challenging works. Our concert seasons have included a complete Beethoven symphony cycle and a Brahms cycle; tributes to such diverse composers as Richard Strauss, Britten, and Bernard Herrmann; and premieres from Elena Firsova, William Attwood, Mark Bowden, Anna Meredith, Timothy Jackson and Matt Rogers.